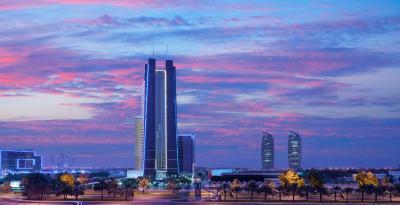 Lock in a great price for Dusit Thani Abu Dhabi – rated 8.9 by recent guests! Very friendly staff, Exceptionally clean, beautiful interior, comfortable beds and lush shower with bathtub. Loved everything about it. I love the swimming pool it's really big ...i was spending all my time in BREEZE!! It was clean and smells good. Myself and wife really like it. I thought the breakfast was very good - lots of choices and quality good. A bit off downtown area but close to the exhibition center. We thoroughly enjoyed our stay at the Dusit Thani. The hospitality was outstanding. Everyone we dealt with - from reception staff to housekeeping and service personal - was very friendly and no request was too much for them. We ate at their Thai restaurant and food was delicious. The breakfast buffet was impressive with a huge selection of hot and cold dishes, Asian, Arabic and Continental. Rooms were big and clean, the bed very comfortable. We had a room at the top floor and the view was amazing. Dusit Thani Abu Dhabi This rating is a reflection of how the property compares to the industry standard when it comes to price, facilities and services available. It's based on a self-evaluation by the property. Use this rating to help choose your stay! One of our best sellers in Abu Dhabi! Centrally located in the new government district, close to the city's habitat of the Eastern Mangroves, Dusit Thani Abu Dhabi is a short ride from the Corniche. It offers an outdoor pool, a spa and free Wi-Fi in all areas. A fine selection of restaurants includes an international all-day-dining venue, a contemporary steakhouse, an Indian restaurant and an authentic Thai restaurant that welcome guests with personalized services and friendly ambiance. Abu Dhabi Exhibition Center is 15 minutes by car from Dusit Thani. Abu Dhabi International Airport is a 25-minute drive away. An airport shuttle is available upon request. When would you like to stay at Dusit Thani Abu Dhabi? Offering floor-to-ceiling windows with city view, this air-conditioned room features elegant and warm color schemes. It includes a spacious desk, a flat-screen TV and a minibar. Added amenities are an electric kettle and an iPod docking station. The bathroom is fitted with a separate walk-in shower and a bathtub. The room offers a separate and spacious living room, adjoining the bedroom. Featuring floor-to-ceiling windows with city view, this elegant room includes warm color schemes. It has a spacious desk, a flat-screen TV and a mini-bar. Added amenities are DVD player, an electric teakettle and an iPod docking station. The bathroom has a separate walk-in shower and a bathtub. It includes free breakfast in the Executive Lounge. Offering floor-to-ceiling windows with city view, this air-conditioned room features elegant and warm color schemes. It includes a spacious desk, a flat-screen TV and a mini-bar. Added amenities are an electric kettle and an iPod docking station. The bathroom is fitted with a separate walk-in shower and a bathtub. Dusit Thani Abu Dhabi brings Thai-inspired design and hospitality to the heart of the United Arab Emirates’ capital city. Experience a perfect blend of Thai graciousness and Arabian legacy. This 5-star luxury hotel is centrally located in Abu Dhabi’s new business and government district, within easy reach of the Eastern Mangroves, the city’s lush natural habitat the Corniche, the city’s iconic seaside promenade and the Abu Dhabi National Exhibition Centre. With its prominent glass tower and the world’s 3rd highest hotel atrium measuring 125 meters, Dusit Thani Abu Dhabi presents a fresh and innovative architectural design. Inside, guest rooms and fully furnished extended stay executive apartments are infused with Thai elegance and modern conveniences. An array of exquisite restaurants serve delicacies to satisfy any palate and a host of facilities and services, including Namm Spa and state-of-the-art 24-hours DFiT Fitness Centre, allowing guests to nurture their minds and bodies or simply take a refreshing dip in our rooftop pool that offers 360 degrees scenic vistas of Abu Dhabi's skyline. House Rules Dusit Thani Abu Dhabi takes special requests – add in the next step! Dusit Thani Abu Dhabi accepts these cards and reserves the right to temporarily hold an amount prior to arrival. A credit card or cash deposit is required at check-in to cover incidental charges. I liked everything from the Staff, Facilities, Value for money, WiFi, Cleanliness, Comfort & Location. Nice rooftop pool area and restaurant facilities. Great Big Shower and Spacious, comfortable room. That we have not been told about no kids allowed in the executive lounge which is weird it’s supposed to be a lounge allowed for the family parent know and have responsibilities on what they have around their kids. So they should allow families in the executive lounge. For the whole family to enjoy. Otherwise it’s all good. Thank you. Everything perfect as it is. Non-smoking rooms are too high up. Generally great except for height of non-smoking floors. The payment process, I was researving a room for my son, I used my credit card and successfully fulfilled the reservation process. We he visited the counter, he was shocked that the staff told him to re issue the payments. The hotel is an archtictural marvel and a hidden gem of the capital with it's low rates and beautiful rooms. It has a huge lobby with variety of restaurants and cafes. Aswimming pool on the roof. The room though small in size but it's got everything that a solo traveller would need. The only shortfall that I did'nt like is "Pillows", they were thin & flat ,the cheap type that you would buy from stores like Carrefore or Kmart.